CeBIT’s focus on the “Cloud” in 2011 prompted many cloud providers to launch new business models, and new cloud products in particular sprouted like mushrooms in 2012. This year, the use of cloud technologies could become standard even for normal users. This proliferation of cloud technology has not changed the inflationary use of the term “cloud” one iota, but decision makers should now be able to distinguish between the different SaaS, PaaS, and IaaS offerings, online storage, software products targeted to help users build their own hybrid cloud, virtualization management solutions, and the cloud/virtualization features included in various operating systems. Clarity in this area can help you develop a customized strategy for building your own cloud offering and evaluating the relevant offers. If you are a supporter of free software and open standards and are currently considering Red Hat as your cloud partner, you might well ask yourself — in the face of a seemingly quite confusing product portfolio in the cloud segment — whether Red Hat’s current offerings are guided by a recognizable product philosophy. 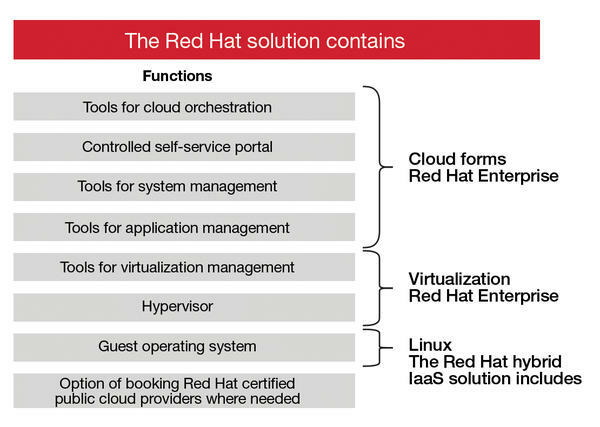 If you look closely, you’ll see that Red Hat’s cloud strategy follows a higher level vision. In 2013, Red Hat could become the first provider to implement an open, vendor-independent, hybrid cloud solution based exclusively on free software, which — besides its own products — also manages VMware and others in a common interface. If you have been following Red Hat’s product policy in the fields of Enterprise Linux, Enterprise Virtualization, JBoss Middleware, and Cloud Computing, you will have noticed that cloud computing was Red Hat’s specific focus last year. The open source specialist presented several new solutions in June at the Red Hat Summit. Most of these officially became available at the end of 2012, thus allowing a clearer picture to emerge of Red Hat’s overall strategy in the cloud segment. The officially available cloud creations, namely, Red Hat Hybrid Infrastructure as a Service (IaaS), Red Hat Cloud with Virtualization Bundle, and Open Architecture IaaS service, are designed to support companies who want to build their own private, public, or hybrid clouds. As early as November 2012, Red Hat’s OpenShift PaaS platform became available commercially as the OpenShift Enterprise Edition. OpenShift Enterprise allows data center operators, for example, to integrate the Red Hat PaaS service with their own infrastructure. The acquisition of cloud specialists Managed IQ, which was announced shortly before the end of 2012, completes the puzzle. However, you can only judge the benefits of the new IaaS creations in terms of building your own private and public clouds if you are familiar with the base products and components and know where their functions fit into Red Hat’s cloud stack (Figure 1). 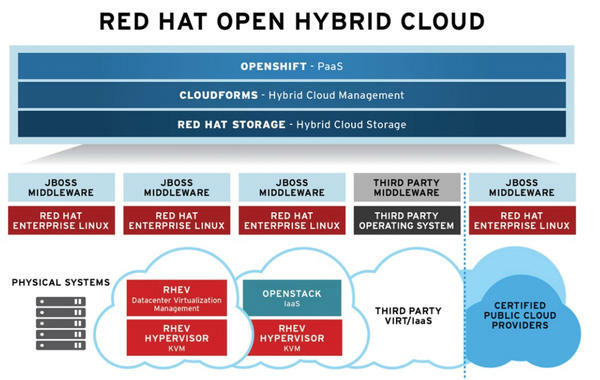 Figure 1: Red Hat’s cloud architecture aims to integrate both its own cloud technologies, RHEV-M and OpenStack, and third-party cloud technologies with the help of its Delta Cloud API. After all, CloudForms 1.1, DeltaCloud 1.0, Storage Server 2.0, JBoss Middleware, and Enterprise Virtualization 3.1 form the foundation for the new products. At the top of Red Hat’s cluster stack are the new products that became available at the end of December, which themselves are bundles of existing technologies, led by the CloudForms cloud management suite and Red Hat’s Enterprise Virtualization and IaaS resources and services. A first glance shows the program framework, before functions and procedures of increasing complexity become visible. The Red Hat Cloud with Virtualization Bundle is a package consisting of RHEV Version 3.1 and CloudForms 1.1 that sets out to facilitate an enterprise’s entry into cloud computing by consolidating the virtualization strategy at the same time. Corporations that have not yet taken the step of virtualizing their server environments can combine this step — at least this is Red Hat’s idea — by deploying the virtualization bundle while establishing an enterprise cloud, combining two projects in a single cycle to reduce the total cost of ownership. This product bundle contains all the components needed for building and orchestrating cloud and virtualization platforms, and it includes virtual machine management, system management, and application lifecycle management. Red Hat Hybrid IaaS (Figure 2), as the name would suggest, is a classic IaaS product designed to help enterprises reduce the inherent complexity involved in building a hybrid cloud environment. To allow this to happen, the solution bundles the fundamental components of RHEV, the CloudForms framework, and RHEL as a guest operating system in a package that also includes the option of integrating additional cloud resources from a Red Hat Certified Public Cloud Provider on demand. Figure 2: Red Hat Hybrid IaaS leverages various infrastructure components, technologies, and products from the Red Hat modular kit. 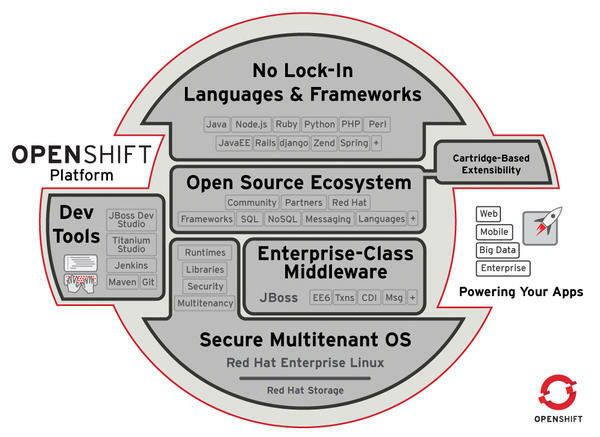 OpenShift is Red Hat’s Cloud Application Platform, which was released under a community license in May 2012. The Platform as a Service (PaaS) product provides programmers development tools in the cloud, removing the need for them to set up their own environments for software projects. The OpenShift platform is based on technology by Makara, a provider of cloud services that Red Hat acquired in 2011. In May of the same year, Red Hat announced that it would be putting OpenShift under an open source license (the Apache License). All OpenShift components centered around the community version, known as Origin server, have been available on GitHub since May 2012. According to Red Hat, OpenShift aims to revolutionize the market for PaaS. OpenShift provides software developers with numerous languages, frameworks, and SQL and NoSQL databases, and even allows them a free choice of the Red Hat Certified Cloud Provider who will ultimately host their applications (Figure 3). Figure 3: OpenShift also includes the integration of cloud resources from a Red Hat Certified Public Cloud Provider where needed. After completing the official beta phase last November, OpenShift (Figure 4) is now available as a commercial product under the name OpenShift Enterprise and rounds off Red Hat’s cloud portfolio in the PaaS sector. Figure 4: OpenShift Enterprise allows data center operators to set up their own PaaS offerings based on the OpenShift platform. With OpenShift Enterprise, data center operators can incorporate OpenShift PaaS services relatively easily into their own infrastructure and assign their customers development instances. OpenShift and OpenShift Enterprise are based on a number of Red Hat technologies; besides RHEL, these specifically include JBoss Enterprise Application Platform. In contrast to the open source version OpenShift Origin, OpenShift Enterprise supports access via developer IDEs, the REST API, and command-line tools, in addition to a purely web-based console. OpenShift currently supports the Java EE, PHP, Python, Ruby, and Perl programming languages. On top of this, OpenShift provides frameworks for various programming languages that accelerate the development of software, including Java EE, Spring, Seam, Rails, Rack, Symfony, Zend, Django, and Twisted. In terms of data storage, OpenShift supports all major database management systems, including MySQL, SQLite, and MongoDB. After the release of version 7 of the open source JBoss application server, which in turn is based on the JBoss Enterprise Application Platform 6, OpenShift now also supports Java EE 6, which — according to Red Hat — makes OpenShift more scalable and maintainable. CloudForms is Red Hat’s open, hybrid cloud and systems management platform and thus the core of all cloud solutions presented so far, with the exception of OpenShift (Figure 5). 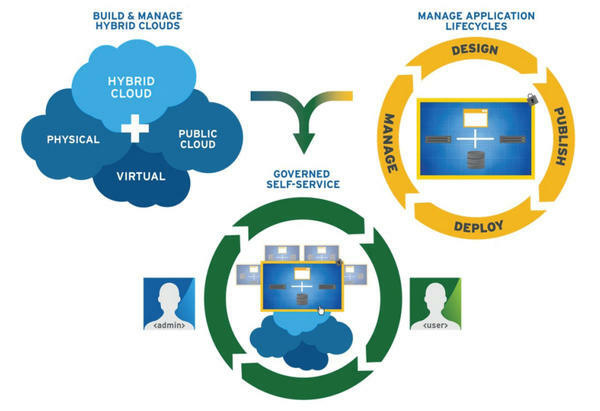 Figure 5: CloudForms facilitates building and managing hybrid cloud mixes of infrastructure components. The current version 1.1 was also presented at the Red Hat Summit 2012 and will replace Red Hat Network Satellite in the future. Corporations can use CloudForms to create their own hybrid clouds that extend to the entire infrastructure of the company, relying on various components that, in turn, use different virtualization technologies for private and public clouds. Besides the ability to establish cloud mixes with CloudForms, corporations can also manage them without having to commit to any particular cloud provider. The technical product description of CloudForms version 1.0 provides an excellent overview of the intended components in Red Hat’s cloud stack. According to this description, enterprises need CloudForms, Storage Server (which is also designed as an appliance), JBoss Middleware, Red Hat Enterprise Linux (RHEL), and — underpinning all of this — Red Hat Enterprise Virtualization (RHEV) to build a homogeneous Red Hat cloud. However, Red Hat does not seek to restrict the choice of cloud technologies to those that RHEV provides. It is well-known that Enterprise Linux includes the open source cloud solution Eucalyptus; RHEL 7 will also include OpenStack 2.0 (Folsom). Obviously, Red Hat views OpenStack as very important, as is evidenced by its joining the OpenStack Foundation. Incidentally, Red Hat revealed its open source (and, unlike Eucalyptus and OpenNebula, vendor-independent) OpenStack-related strategy in depth at the Red Hat Summit 2012. Another important piece of the puzzle related to Red Hat’s vision of vendor-independent, hybrid clouds is the Deltacloud API, which Red Hat created in 2009 and handed over to the Apache Software Foundation in 2011. It was developed with the goal of abstracting the virtualization technologies, storage formats, and protocols deployed by numerous, independent cloud providers, thus making it possible to build a vendor-neutral cloud using, for example, CloudForms. In August last year the stable version 1.0 of Deltacloud became available; it supports a considerable number of cloud vendors and cloud infrastructure solutions. 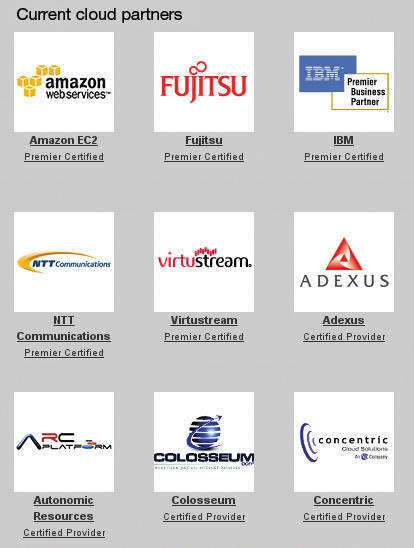 Other than Red Hat’s own RHEV-M and OpenStack, they include Amazon EC2, IBM SBC, VMware vSphere, Rackspace, and the open source cloud stacks Eucalyptus and OpenNebula. An update to the virtualization platform that underpins all of Red Hat’s cloud and virtualization technologies was released in December 2012 in the form of version 3.1 of Red Hat Enterprise Virtualization (RHEV) for servers and desktops. In this article, I restrict myself to the innovations that lift RHEV 3.1 to the same level as enterprise virtualizers VMware, Citrix, and Microsoft — to which RHEV 3.1 is actually superior from a technology point of view, supporting up to 160 CPUs in virtual machines and up to 2TB of memory. Red Hat Enterprise Virtualization emerged in 2008 largely from the acquisition of the Israeli software vendor Qumranet, as well as the KVM hypervisor and large portions of the components built into RHEV, including the oVirt framework and Spice protocol-based desktop virtualization. The oVirt framework (Figure 6), now a community-led project, gives administrators the ability to establish high-performance data center management on Linux hosts running RHEL or Fedora. Figure 6: The oVirt framework as a management tool. Red Hat only achieved a concept comparable to VMware and others with RHEV 3.1, because the Red Hat developers needed to replace proprietary code elements (C#) with open source code over the years. A typical RHEV environment consists of one (or more) hypervisor hosts (RHEV-H) and the management system (RHEV-M), which is now finally a pure Java application. One unhappy result of the deal from 2008 was that the management system (Administration Console) for managing host systems only ran on Windows hosts up until RHEV 3.0, because it relied on IE7, .NET, and Active Directory. You can see what the administration console looks like without a RHEV subscription by simply installing the oVirt Framework on Fedora. RHEV 3.1 brings additional improvements in supported storage technologies, user administration, scalability, and functionality of virtual desktops. The KVM hypervisor supports the latest x86 processors in RHEV. RHEV 3.1 also supports live storage migration as a technology preview. This allows virtual disks of virtual machines to migrate between different storage systems (SAN, iSCSI, NFS) without stopping the machine. 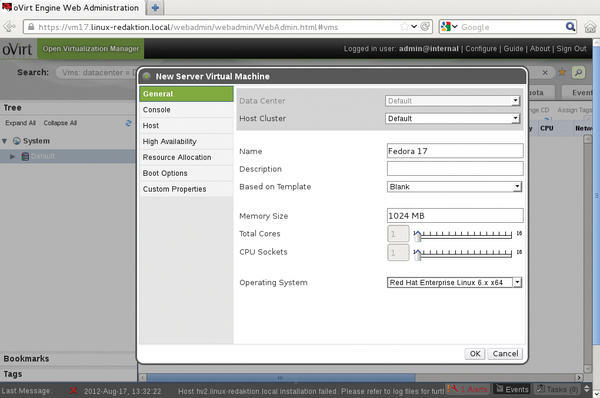 Red Hat Enterprise Virtualization 3.1 version 2.0, which became available in June 2012, can be combined with the GlusterFS-based Red Hat Storage Server (Figure 7). RHEV can then use the space made available by the storage server. 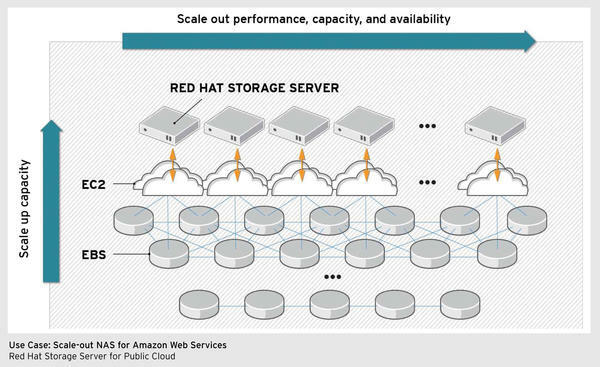 Figure 7: Red Hat Storage Server is available both for on-site use and for use with private and hybrid clouds — here as a scalable NAS for Amazon Web Services. Red Hat’s corporate philosophy of handing over its in-house technologies, or those acquired through strategic acquisitions, to open source projects after completion of a test phase or the elimination of proprietary components can be observed throughout and is a deliberate choice. KVM, JBoss, oVirt, Deltacloud, and OpenShift are just a few popular examples. Many of the technologies are the result of strategic acquisitions, which shows that Red Hat is deeply rooted in open source ideas and integrates the ideals of open source with the requirements of an economically active company. At the end of the day, Red Hat is economically one of the most important open source manufacturers and one of only a few that continually make a profit. Passing on its sophisticated technology to open source foundations pays dividends for Red Hat in many ways. For one thing, community developers power a continuous transfer of knowledge, which ultimately benefits everyone and makes products better and more prominent. Furthermore, community projects enable a cross-vendor exchange of protocols and interfaces, which often makes it easier for Red Hat products to establish themselves successfully on the market as vendor-independent standards. Red Hat pursues this goal with its cloud strategy, which seeks to establish an open, vendor-independent, and hybrid cloud. Red Hat’s cloud strategy thus compares well with commercial solutions, such as Microsoft System Center and VMware vCloud Suite, in particular in the context of prefabricated solutions, like Red Hat’s Hybrid IaaS and Cloud with Virtualization Bundle. The new products contain all the building blocks needed to set up and manage an open, vendor-independent cloud infrastructure — from elementary virtualization technologies to CloudForms. Right now, CloudForms is the only management platform for open, hybrid clouds, and with the integration of Deltacloud, it has a very good chance of establishing Red Hat’s open source cloud stack as a vendor-independent standard capable also of managing cloud solutions by Amazon, Microsoft, and VMware in a uniform interface. Incidentally, Red Hat does not quote any prices for the products featured in this article, although they officially became available late last year — with the exception of RHEL and RHEV — and refers potential purchasers to its Sales Department. The reason might lie in the fact that cloud computing is still a highly individual and project-oriented subject. Nevertheless, Red Hat is trying to bundle product, project support, consulting, and cloud resources in the form of the Open Architecture IaaS service and standardize both the procedures and the models, thus making the cloud easier to price for the user. Red Hat's OpenShift cloud service helps web developers get websites up and running very quickly. We'll show you how to get started with your own OpenShift website.